Book online today and save on each ticket and get a seat upgrade. Prices start at $45. Save up to $29 off tickets to see The Australian Bee Gees at Luxor. Reserved seating and dinner package also available. Rates from $44 before taxes & fees. Book your tickets now to see The Australian Bee Gees Live in 2019. Tickets start at $55 before taxes and fees. 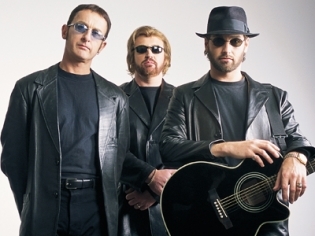 The Australian BeeGees show is a tribute to the legendary talent of the famous Gibb brothers. Not only do they resemble the BeeGees physically, they recreate the sound and performance effortlessly. Performing for over 15 years, this act has garnered admiration and kudos from fans and media alike. While covering five decades of memorable music, the event is contemporary and embraces state-of-the-art sound and lighting. Giant screens display video clips, photography and graphics to enhance the concert. The Bee Gees were one of the most successful acts in history and the Australian BeeGees carry on that tradition with their rendition of hits like “Stayin’ Alive” and “You Should be Dancin”. If you are a fan of the timeless music of the brothers Gibb, you will be on your feet and dancin’ for this concert. Wow, my wife brought me here for my birthday and I was taken aback how awesome these guys are! This is a must see! We really liked this one. The music and singing were fabulous. I loved when the cast started with the modern day Bee Gee music. The venue is not so impressive. It has table seating, so we weren’t too fond of that part. I recommend this show for a good night out. I’m not really into the beegees but went because my GF wanted me to. I actually thought it was pretty good. I would recommend to anyone. I loved this show, I could not stay seated! They were very interactive with us in the audience and it felt like they fed off our energy! Very entertaining guys who sing all the popular songs and put on a good show!! !